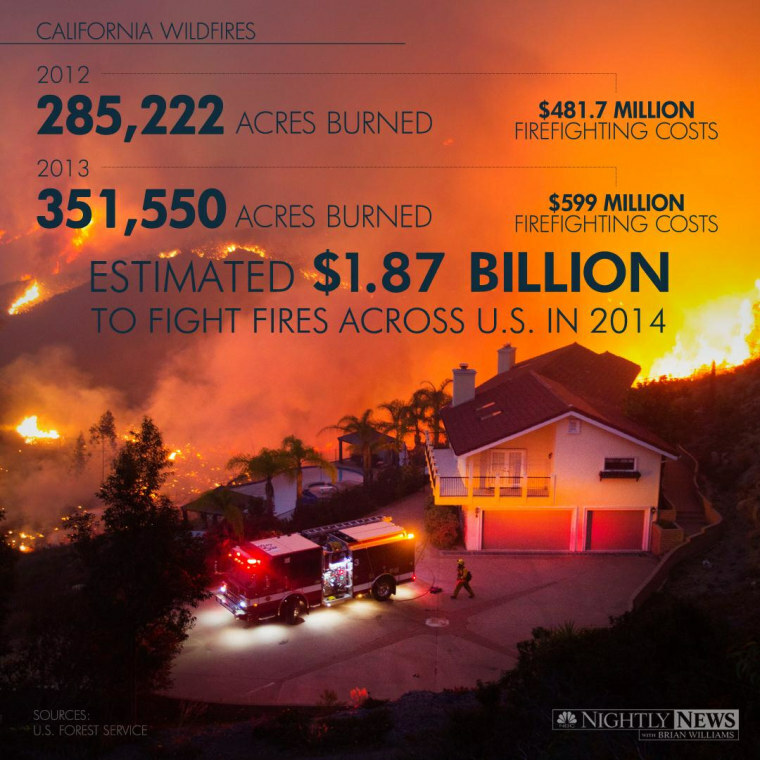 Wildfire season has only just begun, and California’s wildfires are already burning up the budget. According to a new report, the U.S. Forest Service and the Department of Interior are projected to spend at least $470 million more than they have on hand to fight wildfires this season. The two agencies may need to spend nearly $1.87 billion for firefighting this year, outstripping the $1.4 billion they have available. California’s multiyear drought isn’t helping matters, and dry conditions make the state ripe for an active wildfire season. Blazes in Southern California this week have already sparked mandatory evacuations for tens of thousands, as hot, dry Santa Ana winds fueled nine separate fires. The governor has declared a state of emergency in San Diego County, and crews are still battling the flames that have scorched the area. More than 1,300 fires have already burned in California so far this year, nearly double the average for the same time period.